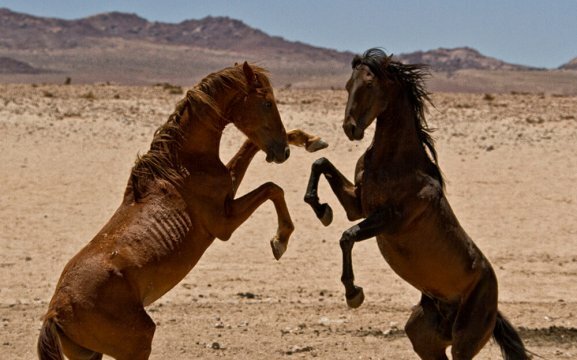 The Wild Horses of the Namib Desert recently celebrated a hundred years of freedom. It was established as a non-profit association in Namibia. 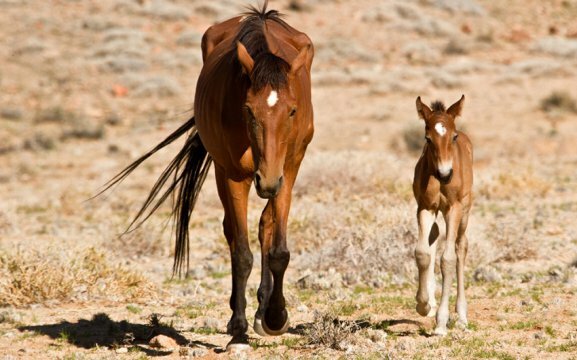 Wild Horses Foundation comprises members from the tourism, veterinary and environmental-management and research sectors. 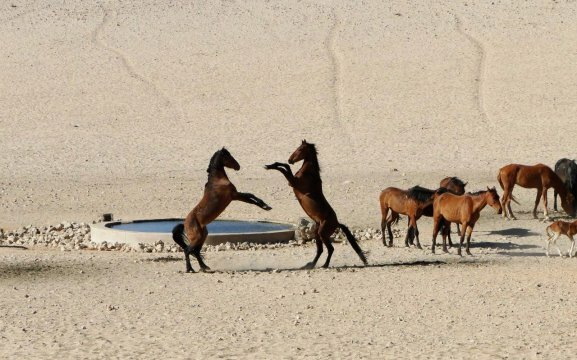 The Foundation was established for ongoing research and regular monitoring of the well-being of the wild horse population. They managed to adapt to the harsh conditions and arid land which fulfils all their needs. 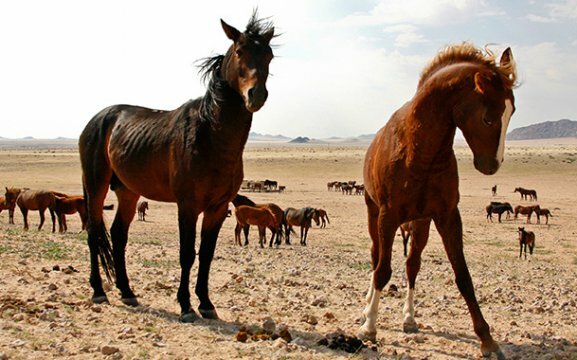 Adaptation can be seen through patterns of feeding and drinking, resting and playing according to the amount of grazing and prevailing temperatures, and also the distances they travel. 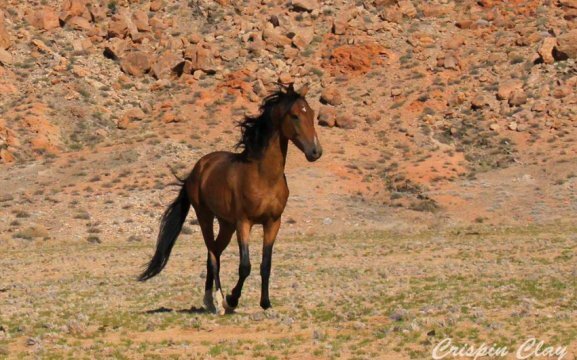 A key role of the Foundation is to marshal funding to provide aid during drought years, which periodically ravage the country, where the wild horses require mineral supplements and supplementary feed. 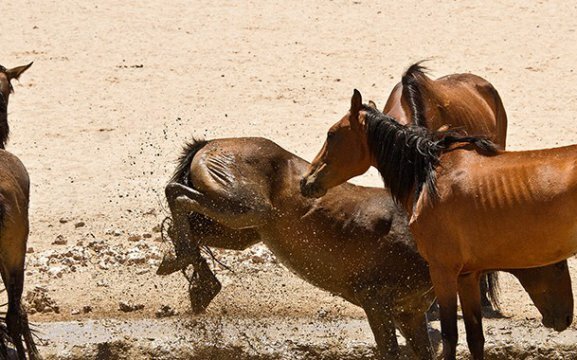 The Foundation appeals to the public for support for these hardy and magnificent Equids. All donations are welcome.